MacQuille Walker scored in the 82nd minute to break a 2-2 tie and push the Thomas College men's soccer team to a 3-2 victory over the University of Southern Maine. 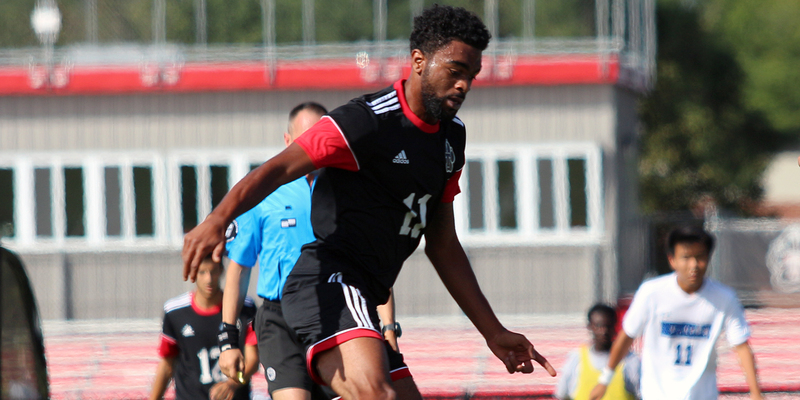 Thomas College Men’s Soccer feature 7 Bermuda players that includes Walker, Justin Bell, Jahzardae Samuels, Jahkeylo Burgess, Zenawi Bowen, Jaavaid Warren-Smith and Darin Woolridge. Adam LaBrie scored his second of the year off a feed from Walker in the 29th minute to put Thomas College up 1-0 heading into halftime. Thomas padded their lead early in the second when Bell scored in the 54th minute, with Kyle Patterson assisting. The University of Southern Maine battled back to pull within one in the 64th minute, then tied things up in the 70th minute to make it 2-2 late in the game. Walker scored the game winner off a feed from Samuels with less than nine minutes remaining to give Thomas the 3-2 win. Jonathan Dutka picked up his fifth win of the season in net, stopping five of seven shots on goal. Simon Hulbert was given the loss, allowing three goals on 11 shots.